Here I am welcoming June with the last episode of Laksamana Sunan’s double-trilogy. 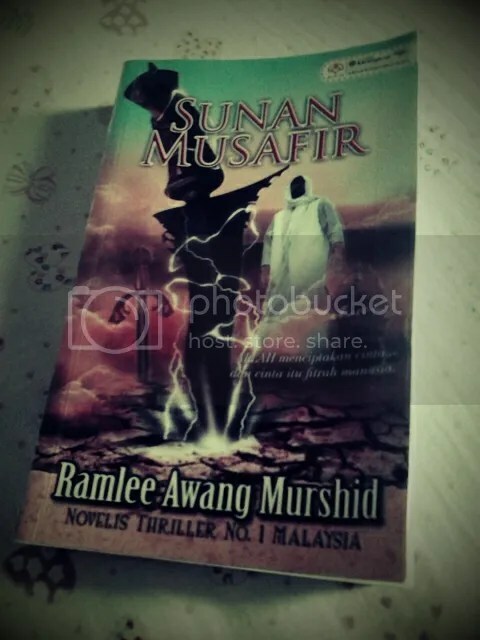 Sunan Musafir by Ramlee Awang Murshid. This time is my special drug because I ordered this book last month. It’s like provoking my quality times. How could I leave this little baby. I always had a ‘heavy feeling’ whenever I had to go to work everyday. How I wish I was a housewife and can give my 100% attention to my family. Like my mom. I always envy my mom. By the way. I have finished reading Sutera Bidadari (Ramlee Awang Murshid). Dear,it was a blast! The best so far after Cinta Sang Ratu. I love it when Ratu is back. Can’t wait for the final ending of this series Sunan Musafir.